I went on a networking conference that was not really for networking but for “networking”. One of the speakers stated that we have to share something after the lecture. Well I am dealing with ip & telecom networking for more than 15 years :( and with software for at least from 10 and I am really confused about those couple of acronyms. SDN has come and now everybody is crazy about it. Vendors dream, service providers participate, everything is API driven, if you wish even based on microservices and as thus virtual as possible. Controllers are clever and switches are dump and everything is coming up roses..
NFV is a ton of specs and a few real lines of code …. For example check http://opnfv.org/ and its projects codebase :) Besides that network operators offer shared virtualized network services for a ton of ages and with some more talent those could be exposed over an API through “something” typically an OSS fulfillment platform. Don’t get me wrong. 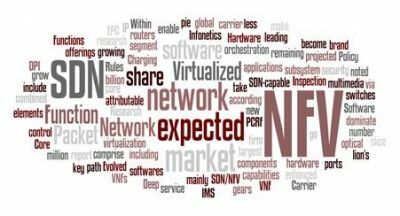 SDN/NFV acronyms that are here to change the mindset of the networking community and they already did so. They have brought some positive stuff like API driven network devices, network centric models, model driven network service development easier OSS/BSS integration. API driven “encapsulation” kind of a an overlay networking is a rule atm. Community driven development (now all the big guys work on certain key open-source projects together instead of well closed proprietary full stack solutions). In my opinion in the end SDN/NFV will be yet another NGN/IMS in the never ending process of the network evolution and who atm still remembers the NGN or IMS …. I doubt that many of the current standards will stay, what will stay is some of the concepts and hopefully some of the open source projects related to SDN/NFV networking. This entry was posted in Network Architecture Evolution and tagged NFV, SDN, SDNv2. Bookmark the permalink. Now 2 years have passed by since this article has been written. The first time I have heard about this “SDN” buzzword it was 2011 I guess. Now we have 2018. The dust has settled, original author “has begun to write patches”. * There will be no SDN Controller for ISP/Carriers, not in 5 years, not in 20 years. Period. * This SDN Controller might be interesting in the DC for End-Nodes operators like Server-Admins, VMWare-Admins. Still there is no SDN Controller at this moment at the market. * Even if there was this Silver Bullet SDN Controller for WAN. It will not lift off, because the acceptance on the specific ISP/Carrier market is not there. * Content Providers might use some kind of SDN Controller, but that is again apart from ISP/Carrier. I do not claim this is right or wrong. This is only my own opionon based on personal experience after working over a decade in the ISP/Carrier sector. Otherwise the patched version of SDN (NFV) is here. All the efforts of me and many others are on producing VNFs. Will see how it goes. I would say that in 5 years things will be different.